The Tri-Fast Core on TP5 golf balls features a unique 3-layer system along with progressive compression, which enables maximum energy transfer and allows you to generate massive speed on full shots with your woods and irons. Simply put, the Tri-Fast Core gives you awesome speed and distance. The Dual-Spin Cover on the TP5 features a contrasting ultra-soft cast urethane cover that works with a semi-rigid inner cover to create maximum interaction between the cover and your club's grooves. This results in exceptional spin performance on full wedge shots and precise control around the green. How does the TP5 compare to the TP5x? While the TaylorMade TP5 is extremely long, the TP5x is a bit longer in distance. The TP5 will result in a mid trajectory compared to the TP5x's high trajectory and it won't result in as much iron spin as the TP5x. Finally, the TP5 will feel softer than the TP5x at impact. I ordered 2 dozen TaylorMade TP5 golf balls and the service and delivery time were awesome. 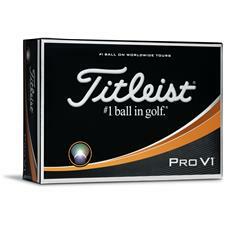 I usually play Titleist Pro V1 golf balls but after 2 rounds with the TP5s I am a convert. The TP5 feels softer around the greens but is easily as long as the Pro V1. I custom ordered my balls with the thin red alignment stripe and I really like the stripe for lining up my putts and even my tee shots. This is a great golf ball and for less money than the Pro V1s!!! Good feel around greens without sacrificing distance off tee! Best place to buy golf balls period! Great combination of distance, control and feel. Perfect compression for most average golfers but I guess pros like them too. I am interested in getting a quote on the Taylor Made TP5 Custom Logo Golf Balls. However, I have a few questions. 1 - Do these come in sleeves of 3 balls each? If not, how many come in each sleeve? 2 - When it says "pack of 12," does that mean 12 sleeves? "Pack of 12" means the box pictured will contain 12 golf balls. These will be packed in 4 sleeves of 3. Unfortunately, Taylor Made does not offer the option to customize the number of the golf ball through our website. 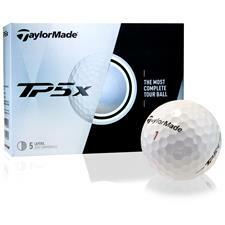 For TP5 and TP5x golf balls, they are numbered 1,2,3, and 5. Do you do other colors like orange, purple? Thank you for your question! Unfortunately, Taylor Made only offers the TP5 and TP5x golf balls in white. 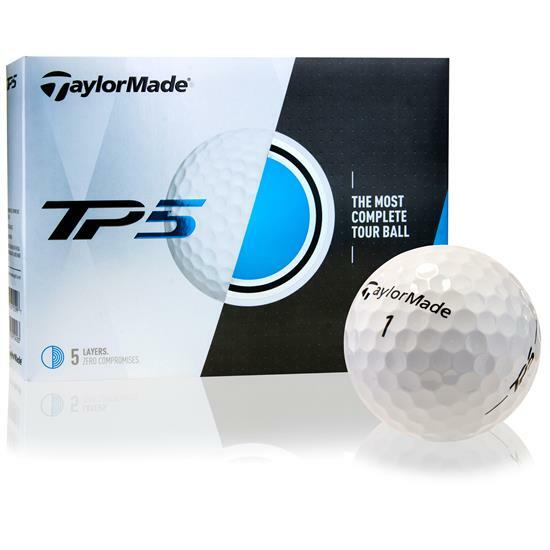 The Taylor Made TP5 golf ball would be a great ball for you! Other golf balls designed similarly that you may like would be: Titleist Pro V1, Bridgestone Tour B RX, Callaway Chrome Soft, or the Srixon Z Star golf balls. Hi, I would like to help me choose a ball that fits my game better, I'm 49 years old, I'm 20 from Hcp, I hit a driver distance of 250 yards, my iron 5 hit 175 yards, with Volvik's Vibe ball, that another ball they recommend me, I want more distance and that I will moor better on green with backspin, I am interested in some Bridgestone Tour B RX or Tour BRX S, Taylor Made TP5 or TP5X, Thank you very much !! I am wanting to order 12 dozen personalized Taylormade TP5 balls. Can i do a simple logo on the ball instead of just font?